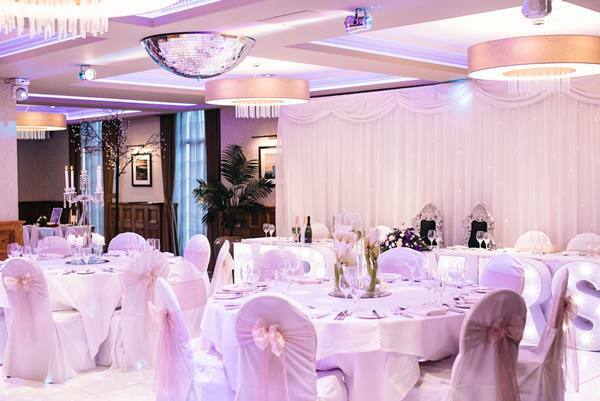 The Busby Hotel is the perfect venue for your perfect wedding. 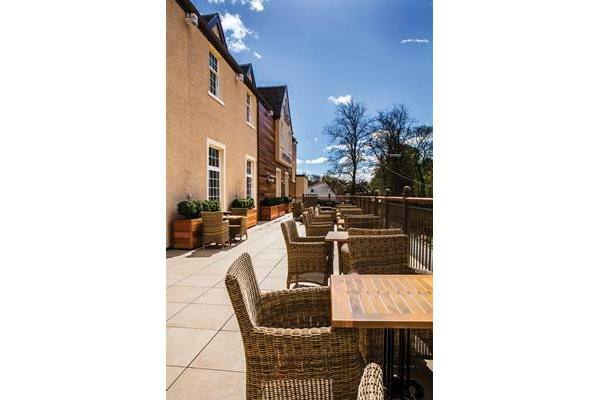 Our multi-award winning hotel has undergone an extensive refurbishment that has made The Busby Hotel one of the most beautiful and stylish venues in Scotland. 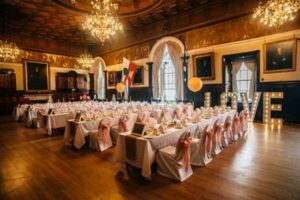 Having recently been crowned with the coveted title "Scottish Wedding Venue of The Year 2016" at the Scottish VOWS awards, this gorgeous venue, with a team of staff that are just out of this world, should be on your list of venues to view before you book anywhere else. Our Busby Suite can accommodate up to 180 for dining and up to 200 in the evening with a smaller Cartside suite that is perfect for more intimate gatherings. At The Busby Hotel we only ever host 1 wedding per day, when you book with us, your day will be all about you and you will never have to share this magical day with any other couples. We fully understand how important your wedding day is and you can rest assured that we will make this a flawless experience for you treasure forever. 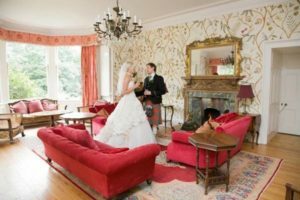 The wedding team at The Busby are some of the best staff in Scotland, we will work with you side by side and guide you through the entire planning process to ensure that every detail is taken care of, nothing will be left to chance. 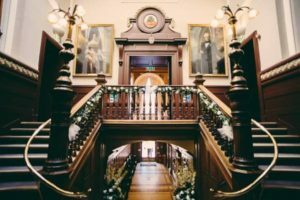 Our dedicated Wedding Co-ordinator will be with you from the minute you come to have a look around the venue right up until the big day itself! She is so passionate about her job and will go above and beyond to ensure that you have the dream wedding day you have always imagined. 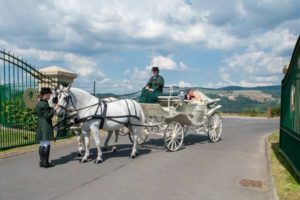 She will tailor a bespoke package personalised to your individual requirements and will be on hand throughout your planning to guide, advise and help you create the day you are both looking for. We are located in Busby which is a 15 minute drive to Glasgow City Centre. We are within 25 minutes to Glasgow Airport. Glasgow City Centre is within easy reach, as is the beautiful scenery of Loch Lomond and the Trossachs. Busby Railway Station is just a few hundred metres away where you travel to Glasgow Central Station for further rails links. "We got married in the Busby Hotel on the 10th June 2017 and we had the best day of our lives! On the day we did not need to worry about a thing, the amazing team there took care of everything and kept us at ease throughout the day! From planning with Sarah Jane the wedding co-ordinator who always goes above and beyond her duty to ensure you receive the best service. Nothing is ever too much to ask for, such a lovely lady!" "On the day the whole team were incredible but a special mention to the MC Jody who was great and also to Margo who looked after the top table, she was fantastic! All of our guests have complimented the staff and food at the busby. 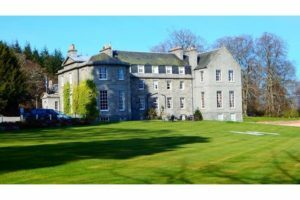 I honestly can not recommend this Hotel enough as a wedding venue and after my wedding day I can now fully appreciate just why the won the VOW award for wedding venue if the year, well deserved!" "We got married at The Busby Hotel last weekend on Saturday 3rd June. Our day was absolutely perfect, there is literally nothing we would have changed or done differently. The Busby team have been fantastic throughout the wedding planning process, Sarah Jane the Wedding Coordinator is just amazing at her job!!! The team on the day were just brilliant, service was nothing short of top class. Special mention to Juliet, Kyle, Jodie, Margo and Loren who made sure everything ran to clockwork. Nothing was too much trouble and it was the best day of our lives! 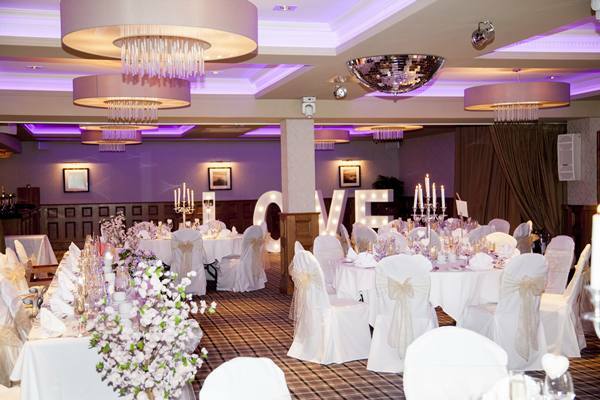 The hotel is stunning, the function suites are the perfect backdrop for a wedding. 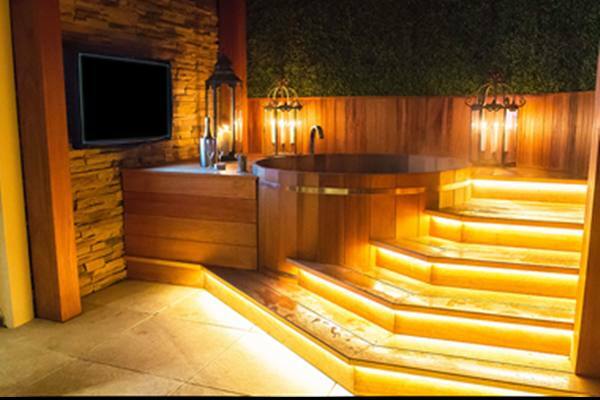 The honeymoon suite is amazing! Thank you all so much, we'll be back soon! x"
"Our daughter was married on Saturday 27th May in the hotel. Everyone had such a fabulous time all down to the organisation of sarah jane the wedding co-ordinator and the team. Every member of staff were so helpful in every way and absolutely nothing was a problem. The bedrooms were immaculate and we can not thank everyone enough for the wonderful day we all had. 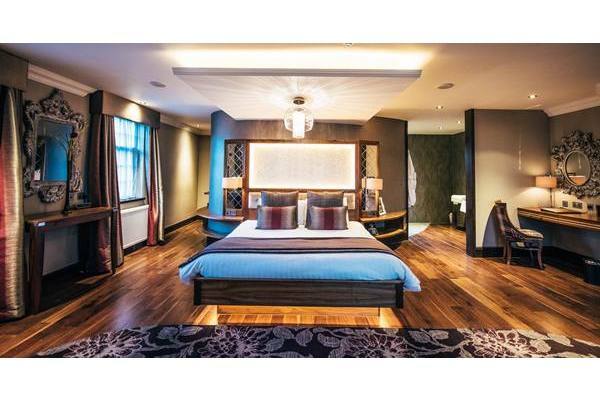 Definitely recommend the Busby Hotel." "Sit back, because this is going to be lengthy. What a fantastic experience. 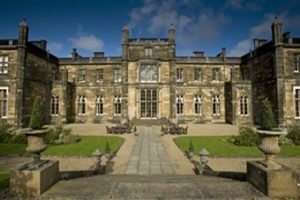 There are simply not enough accolades in the English language to describe what an awesome venue this is for a wedding. My wife and I were married here yesterday and the experience was so phenomenal that I'm writing this review today. 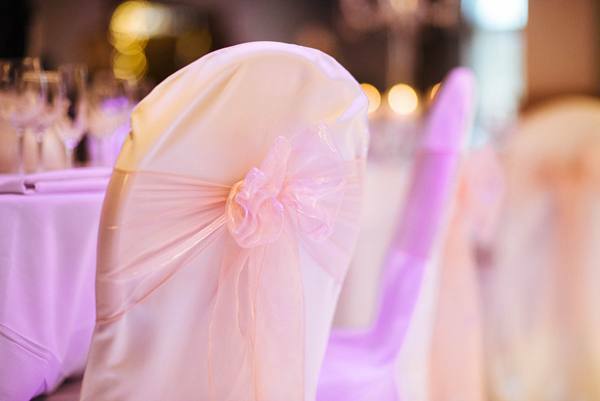 If you are getting married, stop your proceedings and change your venue to The Busby Hotel. From the outset the whole concept has been seamless.. They have an amazing woman called Sarah Jane Anderson who is the Events and Wedding Co-Ordinator, just wow. Nothing was to much trouble for this lady and she pulled out all the stops to keep her promise of 100% guarantee of a flawless day, and do you know what....she absolutely nailed it. Constantly touching base with us, there were a few issues to iron out to do with accommodating guests and in particular a guest from overseas.....sorted, no hassle. On the day as well as Sarah Jane, the team consisted of to name but a few, ( there were so many more, apologies that Indidn't catch your name) Jody, Kyle Lauren and Margo. Margo's son Gary, a lovely young man, attended to all our needs the night before the big day at the informal dinner. Every single member of staff, and I mean every single one, pulled out all the stops to ensure every guests needs were attended to, and they give you the impression that they actually want to help you and that they clearly have a passion for their job. The food was simply out of this world, would rival any Michelin star restaurants. 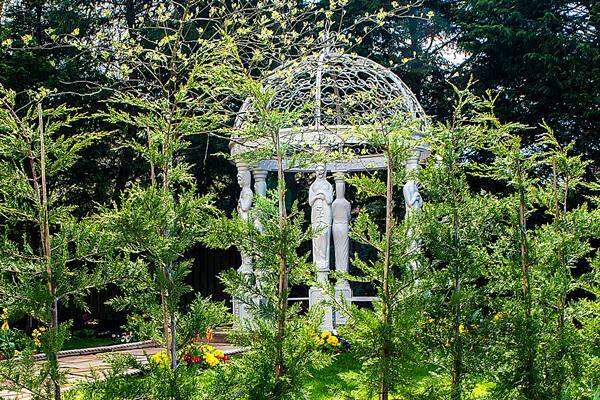 There is a reason this venue won the award at the VOWS recently for the best wedding venue of the year. I urge you, get married here, it was the most amazing experience of my life, but we couldn't have had such a brilliant day, but for the staff at The Busby Hotel. Absolutely incredible, a credit to the management at Manorview Group, take heed and treat them well, they deserve nothing but the best. Thank you for such a memorable day and we were glad you were a part of it. Xxxx"
"My husband and I had our wedding reception in here. It was an amazing night. Nothing was too much trouble... Would highly recommend the Busby for any future bride and groom's"
"Our wedding day at the Busby was just perfect! The staff from the beginning were great, the day could not have gone better…It's beyond amazing!" "Just had my wedding day at the Busby and I honestly could not fault a second of it. Every staff member seemed to go out of their way to make sure we had every need catered for…Cannot recommend this hotel enough!!" "Could not fault the staff or service provided at The Busby! Everyone involved was friendly, helpful, professional and it genuinely felt like they cared as much as we did about the day"
"Fantastic venue!! My new husband and I heard The Busby had just been refurbished last November and couldn't wait to have a look. ...The moment we arrived at The Busby we knew it was the one! The staff, the fresh new look and the prices were fantastic. Throughout the year before the wedding our wedding co-ordinator couldn't have been more helpful and very easy going with all the plans and last minute changes needing to be done. ...Our big day couldn't have went any better.... We honestly had the best day of our lives!! .... Thank you everyone at the Busby"
"So this little hotel in the suburbs of Glasgow turns out to be the hidden Gem of the City!! With it being newly refurbished the class just oozes from everywhere, ... From start to finish my wedding was fantastic.. every single member of staff from management to the cleaners were exceptional and bent over backward for me and my new husband, my 2 year old had a little meltdown during the wedding day and our fantastic wedding planner stepped in saved the day for us, ... planing was brilliant and almost stress free as the package we got included everything our hearts desired. To everyone thinking of planning the wedding elsewhere... DON'T!! Go to the Busby I swear you will love it ...thank you guys from the bottom of our hearts"
"Yesterday, Saturday 5th September 2015, The Busby Hotel hosted our wedding. We cannot compliment the staff enough. They went over & above to make our day special. Nothing we asked ..was too much & were happy to help. Our friends & family couldn't compliment the venue enough .. it's absolutely stunning. We had the honeymoon suite witch was amazing .. All guests were B&B and the staff in the morning...congratulated us & were chatting about our wedding which I thought gave it a personal touch. Would highly recommend to couples looking for a wedding venue. It is classy, welcoming, without the stuffy feel other hotels have...Well done Busby Hotel your truly made our day special !" Bride, groom & guests all extremely happy!! ...I could go on all day about how amazing our day was at the busby hotel!....We can't wait to return to the busby for our anniversary! Love and big hugs to the busby hotel!! Xxxx"
"We want to thank Sandra and all the staff at the Lynnhurst Hotel. They made our wedding day so special. They were professional and faultless and the venue is stunning!" "Just wanted to say a huge thank you to you, Shaun and the rest of the team for making our wedding day run so smoothly! It really was the amazing day we had always hoped for and your team worked so hard to ensure we were able to enjoy our day from start to finish. 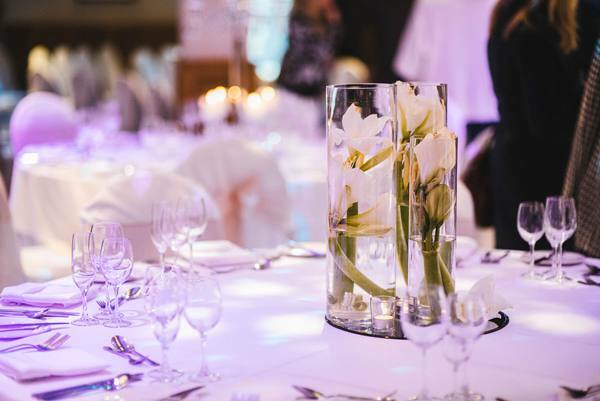 All our guests were so impressed with the Lynnhurst Hotel and we cannot wait to return many times for future celebrations, or even just a weekend lunch!" "To Sandra and The Lynnhurst Wedding Team. Thank you so much for all your help and advice in the run up to our “Big Day”! Without your help and amazing organising skills the day would not have went so smoothly – it helped keep us calm as we know our Wedding plans were in safe hands. We had the most amazing day and can’t thank the staff at The Lynnhurst enough for their perfect service and making our guests feel so welcome. Thanks again!" Yesterday, Saturday 5th September 2015, The Busby Hotel hosted our wedding. We cannot compliment the staff enough. They went over & above to make our day special. Nothing we asked Sarah Jane & the staff was too much & were happy to help. Our friends & family couldn't compliment the venue enough .. it's absolutely stunning what they have done with the place. We had been a few times to dine in Carters before we booked for our wedding & the staff are always chatty & helpful. The food is always lovely & homely & reasonably priced. We had the honeymoon suite witch was amazing .. And the guests rooms were lovely also. The standard they have been decorated to is above what is charged for a room so is great value for money. All guests were B&B and the staff in the morning ( that hadn't worked the night before ) congratulated us & were chatting about our wedding which I thought gave it a personal touch. Would highly recommend to couples looking for a wedding venue. It is classy, welcoming, without the stuffy feel other hotels have. Cannot wait to go back for a lovely family meal. Well done Busby Hotel your truly made our day special !" We had our wedding here Saturday 22nd august 15 and I can't believe how amazing and stress free my big day was! The staff were incredibly helpful and made everything run so smoothly. Sarah Jane our wedding coordinator was amazing! I wasn't too happy with my wedding bouquet when it arrived and within an hour I had a brand new bouquet delivered from another shop which we're stunning and a full refund from my original supplier. She completely went above and beyond to ensure our day was perfect. The honeymoon suite is the most beautiful suite ever and we had our breakfast delivered with fresh juice and tea the next morning (exactly what we needed) which was delicious! Myself and my 2 bridesmaids stayed in the hotel also the night before and we were treated like VIPs. We couldn't believe how lovely and friendly the staff were to us. I would highly recommend this hotel not only for a wedding venue but for an overnight stay as my experience with both was incredible. Thank you to all the staff and special mention to Sarah Jane Anderson." 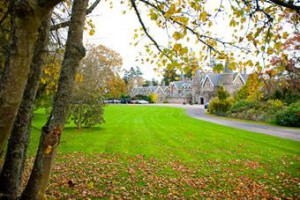 "My husband and I got married here on 30th June this year and the place and staff were amazing. Me and my bridal party stayed the night before and a lot of us stayed the night of the wedding too. John and his staff were so helpful and polite and really did go out of their way to make it such an amazing day for us including allowing use of the conference room for photos and the bridal party getting ready in the morning. Everything was amazing from the layout of the function room, to use of the additional bar, to the food (some guests are still raving about the soup which was amazing) and the DJ that they put on in the evening was a great crowd pleaser getting everyone up on the floor. The hotel itself was very comfortable and spacious and very clean and the staff were so friendly and helpful. 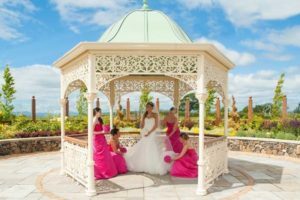 I would absolutely stay here again and I couldn't have asked for more for our wedding day which was completely amazing mostly down to the help and co-operation of the staff here."